Horse racing: Paynter followed his runner-up finish in the Belmont Stakes with a dominating run in the Haskell Invitational, another breakout performance for the colt who languished as Bodemeister’s lesser-known stablemate. Paynter stormed into the lead entering the far turn and pulled away to win the $1 million Haskell on Sunday at Monmouth Park in Oceanport, N.J., giving trainer Bob Baffert his third straight victory in the race and sixth overall. 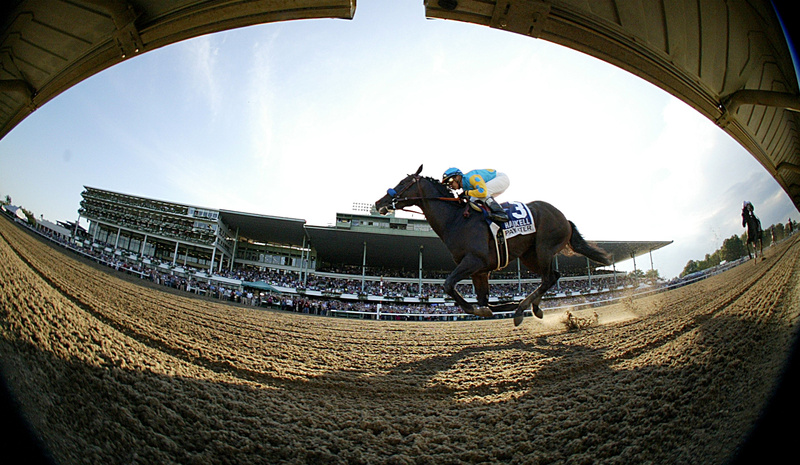 By earning $600,000 for the victory, Paynter went over $1 million in earnings, a major accomplishment after not racing at all as a 2-year-old. Paynter, the even-money favorite, finished in 1:48.4 and paid $4, $2.60 and $2.40. Nonios returned $5.20 and $3.80, and Stealcase paid $5 to show. Gemologist, the second choice at 9-5, faded to finish last in the field of six. • Currency Swap wins in Saratoga: Currency Swap beat Doctor Chit by 1 3/4 lengths in the $200,000 Amsterdam Stakes for 3-year-olds at Saratoga Race Course in Saratoga Springs, N.Y. Ridden by Rajiv Maragh and trained by Terri Pompay, Currency Swap ran 6 1/2 furlongs in 1:15.33 and earned $120,000 for Klaravich Stable. Auto racing: Lewis Hamilton won the Hungarian Grand Prix in Budapest, Hungary, prolonging McLaren’s dominance on the slow and winding Hungaroring circuit. Hamilton completed the race in 1 hour, 41 minutes, 5.503 seconds – more than a second ahead of Lotus driver Kimi Raikkonen. Romain Grosjean, also of Lotus, was third. • Brown wins NHRA Sonoma Nationals: Antron Brown beat Spencer Massey in the Top Fuel division final at the NHRA Sonoma Nationals for his third victory at Sonoma, Calif., fourth victory of the season and 35th of his career. Brown finished in 3.814 seconds at 318.02 mph, while Massey trailed in 3.826 at 323.50. Johnny Gray topped the Funny Car field, Allen Johnson won in Pro Stock, and Eddie Krawiec in Pro Stock Motorcycle. Golf: Fred Couples won the Senior British Open by two strokes over Gary Hallberg after holing a 25-foot putt to finish with consecutive birdies. The 1992 Masters champion shot a 3-under 67 in the final round to finish at 9-under 271 on the Ailsa course in Turnberry, Scotland, and win his first tournament in Britain. Hallberg shot a 66, equaling the best round of the day with American Mark Calcavecchia and Carl Mason. Former Pullman resident Kirk Triplett shot a 67 to finish at 2-over. • Piercy holds on to win Canadian Open: Scott Piercy made four straight birdies and one big par to win the Canadian Open in Ancaster, Ontario. Piercy closed with a 3-under 67 and tied the oldest 72-hole scoring record on the PGA Tour. But the finish at Hamilton Golf & Country Club was all about survival. He two-putted from 50 feet for par on the 18th hole to finish at 17-under 263. William McGirt, atop the leaderboard for much of the day, three-putted for bogey on the 15th and failed to save par from a bunker on the 18th for a 69 that left him one shot behind. Robert Garrigus, the 54-hole leader, three-putted the 16th hole for bogey. He shot 70 and also finished a shot behind. • Park takes Evian Masters title: Inbee Park of South Korea shot a 6-under 66 to win the Evian Masters for the first time, beating veteran Karrie Webb and overnight co-leader Stacy Lewis by two shots in Evian-Les-Bains, France. The 24-year-old Park made birdies on the last three holes to coast home. College football: Iowa running back De’Andre Johnson has been suspended after two run-ins with police in the past week. The Cedar Rapids Gazette reports that Johnson was ticketed for speeding and eluding arrest on Saturday. It says Johnson drove his motorcycle 60 mph in a 25 mph zone and didn’t immediately pull over. Two days earlier, Johnson was ticketed by Iowa City police for maintaining a disorderly house after neighbors complained of a loud party at his home. Iowa coach Kirk Ferentz did not say how long Johnson’s suspension might last.